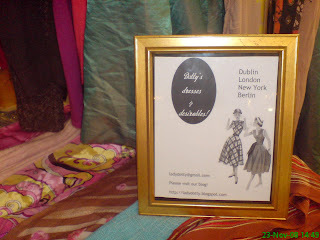 Lady Dotty's Dresses & Desirables: Roll on the next flea! 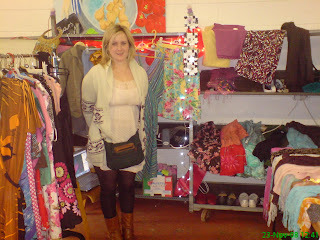 Although I am probably recovereing from the hangover I had at yesterdays Flea Market, but didn't get a chance to! 3. Buy a proper wardrobe rail, specifically one that does not collapse whilst people looking through your stall.. There was a wide range of stalls at the market, selling everything from household items, vintage kids clothing, chinese wall hangings, jewellery and the usual bits and bobs. Would have been a nicer pic if I had smiled!! All in all, it was a great day, and we got to meet some brilliant people. Roll on the xmas flea! woah look at all those clothes..
short dressBall Gown Wedding Dresses,The Ball Gown Wedding Dress has a tight fitting bodice with boning and a full skirt. Think Scarlett O'Hara or Cinderella. formal dressThis style is perfect for a fairy tale wedding and is ideally suited for traditional formal weddings. The silhouette pairs a fitted bodice with a full skirt and may be one piece or separates. and is ideally suited for traditional formal weddings. fashion dressesCheck out there the Disney Princess series. You probably first got affiliated with seeing princesses from shows. Disney has started the line of bridal wear in line with our favorite characters. fashion dressIt is easy to choose from your preferred Disney princess dresses such as Belle, Ariel, & Jasmine. evening dressesThey have the more classic princesses which include Snow White & Going to bed Beauty. These dresses usually are chic & elegant. You will not worry about them looking like they came from a costume shop. It is a sure fire to tactic to feel like a princess or queen. evening dressThey even have exceptional lines for bridesmaids & flower girls to very much get your theme spanning. Plus, this way any bridesmaids won't complain concerning looking like ugly part sisters. evening gownsIt just goes to show that you may still be a princess although you may are having a tranquil beach wedding. First of all, pay attention to the discount news of bridal gown shops. evening gownWhen shopping for bridal dresses, search for the phone book for a list of all wedding gown shops that offer discount bridal gown. Most stores will post it if they offer bridal dresses at a discount. ball dressThey know that a lot of people are looking for a great value. But don't count on the yellow pages to post all of the shops that offer cheap wedding gown. Secondly, ball gownif you are not satisfied with the price of the real local shops, you can find vintage wedding gowns online. Buy bridal dresses online will be more cheap than buying through real shops. cocktail dressesYou can often search the vintage bridal dresses under $100 or $200; however the quality and style is not inferior to in the bridal gown shops.